Being a cat parent is the best. Not only are cats amazing companions that are good for your physical and mental health, but they are so stinkin’ cute! It’s ok to admit that your camera roll is 90 percent pics of your adorable fur baby, we are just as guilty. But, if there are any unpleasant experiences that come from having a cat, most people would probably say dealing with their cat’s litter is number one. The litter box isn’t the best part about being a cat parent, but it is extremely important. To keep your cat happy and healthy, and to avoid having your home smelling like cat pee, you must have a safe space for your cat to do their business. However, many cat parents have discovered that no matter what they do with the litter box, it’s impossible to keep it clean. Some cats are just plain messy. They dig and dig, throw litter all over the place, and track that litter all over the house. Other kitties like to pee all over the side of their litter box, or they decide they don’t like their litter box at all and just start peeing all over the house. You might think that the litter box should just be a place where your kitty can pee and poop, and as long as they follow the plan, all is well. But, your cat has a much more complex relationship to the litter box, and it’s not just about convenience, it’s about need. The needs of a kitten are different than those of an adult. And, the best setup for an active, young cat might not be the same as what is best for an overweight cat. Ultimately, you have to find what is best for your cat. And, if your kitty is messy, that presents an entire new set of challenges. We wanted to find the best litter boxes out there for messy cats, but we had no idea how much of a challenge that would be. There are literally hundreds of options on the market, and it took us more than an entire workday to do the research. After researching product specs, prices, common questions, and reviews, we ultimately decided that the best litter box for messy cats is the Catit Jumbo Hooded Cat Litter Pan. This litter box works extremely well for thousands of messy cat owners. It is affordable, simple to put together, easy to clean, and it has plenty of space for cats big and small. Who is This Litter Box For? To find the best litter boxes for messy cats, we spent twelve hours combing through all of the options. And to be honest, we could have easily spent another twelve hours with all of the options available to choose from. But, we had to start making cuts somewhere. And to start, we eliminated anything that didn’t have any reviews or had mostly negative reviews. Next, we got rid of anything that didn’t have at least a four-star review. At that point, we started focusing on the specifics of the four-star (or more) litter boxes, things like materials used, special features, and price. Then, once we found our favorites, it took another six hours to write this article. That’s right, finding the best litter boxes for messy cats took us more than two workdays. But, this is such a common problem, we knew it was worth it. Size: A common mistake cat parents make is purchasing a litter box that fits into a tiny space so it can stay out of sight. But, if you want your cat’s litter to be as mess-free as possible, you should buy a litter box that works for the size of your cat. If the box isn’t at least 1.5 times the length of your cat (nose to base of tail), the chances of keeping the area clean are close to zero because they won’t have the space to do their business. Easy Cleaning: What’s the point of getting the perfect litter box for your cat if you can’t clean it out easily? Cleanliness is a big deal for a cat’s litter box because if it isn’t clean, they are less likely to use it. You should be scooping it out every day, and washing it out completely with soap and water once a week. And, when we were selecting the best litter boxes for messy cats, we wanted to make sure we recommended options that you can easily keep clean. 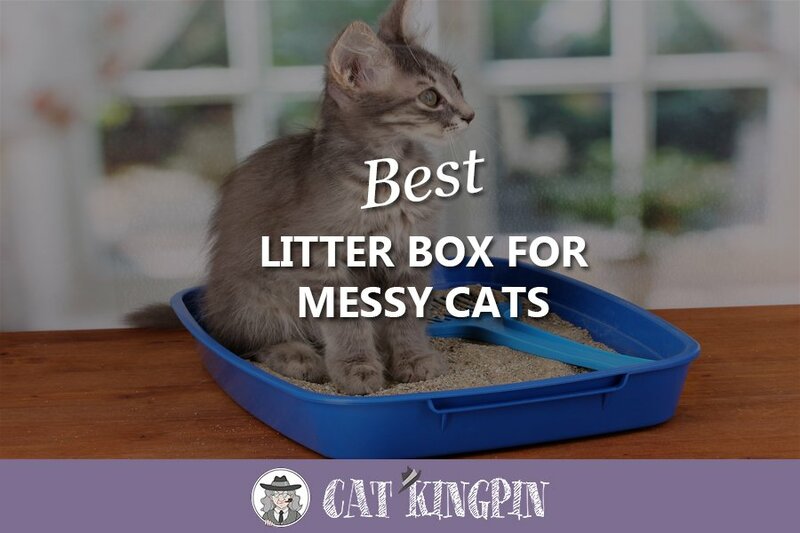 Does the Litter Stay in the Box: This should go without saying, but the whole point of this article is to find the best litter box for messy cats. So, making sure the boxes we recommend kept the litter inside of the box was super important. Price: Large litter boxes with covers can get fancy, and that means they can get pricey. While the right litter box for reducing mess is important, we also considered price because we want to make sure that the products we recommend are affordable. These litter boxes are specifically for cat parents who have one or more messy cats in the house. However, even if your cat isn’t tracking litter all over your home, the area around a simple litter tray can get messy. So, these litter boxes work well for any cat parent. They will keep the mess to a minimum, control the odor, and help keep your cat happy and healthy. However, if your cat already keeps their litter box tidy and cleans up after themselves, then these recommendations aren’t for you. As we mentioned earlier, it took us over two days to go through all of the litter boxes available, and write our recommendations. After about twelve hours of research and six hours of writing, we were finally able to narrow it down. We looked at multiple websites for different litter boxes, like Amazon, Chewy, Walmart, and PetSmart to find the best ones for messy cats. Once we got the list down to the top 20, we went through the product specs like size and materials, we looked at all of the questions cat owners had, and we read thousands of reviews. Eventually, we were able to pick the top five litter boxes for messy cats. We did all of the dirty work, so you’re welcome. The Catit Jumbo Hooded Cat Litter Pan gives your cat (or cats) plenty of room to do their business and it gives them the privacy they prefer. Overall, it is easy to put together, simple to clean, and it works well for cats as big as 20+ pounds. This litter box is the perfect solution for keeping the litter area clean because it prevents tracking and it controls the smell. It also has a built-in bag anchor to keep the litter in place and a carbon filter that removes the odors. Simply put, it is perfect for households with large cats or multiple cats. With thousands of reviews on different websites, it has an average rating of 4.5 stars. One of the only negatives was that the door flap can sometimes can get stuck and trap your kitty inside. Some people decided to just take the door off to avoid that problem. But, if you have a dog, the lack of a door does give them access to the litter, and that can be gross. The only other negative mentioned was the quality of the plastic material. Some people reported that it was a bit flimsy or prone to cracking after a while. Which means they needed to eventually replace it. But, this was extremely rare. This litter box from Modkat will stop leaks and litter scatter, even if your cat is a side pee-er. The opening is low, making it easier for older cats to get in, but the walls are high and will keep the litter from flying out. The Modkat Flip LItter Box with Scoop and Reusable Liner has three different lid positions for the privacy your cat prefers. You can keep it closed, half-open, or fully open. The reusable liner is easy to clean, and the lid design gives cat owners easy access for scooping. This litter box is also seamless, so there is no place for a high pee-er to cause leaks. And, it is made from sturdy materials, so you won’t need to replace it anytime soon. The only negatives about this one is the higher price, so it is an investment. And, some people say it is a little small for larger cats, while others say their large cats have no problem with it. This budget-friendly box comes in six different styles - Open Top, Standard, Top Entry, No Door, Large, and Triangle. This means that it offers the perfect size and shape option that will fit in your home. Plus, if your cat doesn’t like a door or a hood, Amazon Basics still has you covered. Overall, no matter which style you choose, the Amazon Basics Hooded Cat Litter Box will keep the majority of your cat’s litter inside the box where it belongs. The oval-shaped options give your cat plenty of room to turn around and do their business. And, if you have more than one cat, the affordable price makes it easier to buy multiple boxes. The hooded option has a dome-style cover which works well for high pee-ers, and it is easy to remove for cleaning and scooping. If your cat prefers an open litter pan, the open top option still has high sides that drastically cut down the mess - and this is the budget-friendly style we recommend. The only negative about this litter box is what some reviewers called a “design flaw” in the standard and large styles. The back of the box has a “bump out” instead of being flat. This creates a small crevice that some cat owners say is difficult to clean. This litter box has rave reviews from cat owners. It is easy to keep clean, keeps the litter mess to a minimum, and gives your kitty great privacy to handle their business. With the entry on top, you won’t find litter scattered around it all of the time, so you won’t have to sweep multiple times each day. The rounded design of the Iris Top Entry Cat Litter Box with Scoop keeps litter from getting trapped in the corners, and the top entry also prevents puppies from getting inside. There are also small holes on the lid that act as a built-in filter, and the detachable lid makes it easy to scoop. The only negatives about this litter box are that older cats might find the top entry too difficult, and some say it is a little small, so it might not work well for larger cats. Also, some people aren’t big fans of the scoop, so you might have to get one that works better, depending on the litter you use. This litter box is large with a snap-on hood to give your kitty extra privacy, plus it also keeps the litter inside. The hood comes off easily for cleaning, and the plastic is stain and odor resistant. The Petmate Top Entry Litter Box also has a carbon filter that reduces odor, and the extra tall walls will help keep your home free of urine spray and flying litter. The size of the opening works well for cats of all sizes. The only exception would be small kittens who could have a hard time getting in and out of the box. The lid has small holes in it so the litter that gets stuck to your cat’s paws can fall back through when they leave. And, there is even a small hook for you to hang your scoop. As for the negatives, some cats still manage to kick litter out through the opening and get it stuck to the lid, and some reviews do say that the plastic is a bit flimsy. But, others say the plastic is just fine, just be careful when you pick it up when the lid is off and the tray is filled with litter. There is no special care or maintenance for these litter boxes, so you will take care of them just like you would any other litter box. This means scooping at least once per day, and then completely changing the litter once a week and washing the box with soap and water. You want to avoid using chemicals because they can be harmful to your kitty. However, a drop or two of vinegar can help kill harmful microorganisms. To keep your cat’s litter box fresh and clean, sprinkle a little baking powder in the tray before adding the litter. And, always remember to wear gloves and a mask because of the bacteria and parasites that could be hanging out in the litter box. You also want to make sure that you don’t overfill the litter box. According to cat behaviorists, most cats prefer a thin layer of less than an inch. Q: Will these boxes work well for multiple cats? A: ​Yes. All of these litter boxes work well if you have more than one cat in the house because they are all rather large and give all of your cats - no matter their size - plenty of space to move around and do their business. We made sure to pick litter boxes that weren’t too small, and the we also made sure the lids didn’t make them feel cramped. Size is important when it comes to litter boxes, and all of our selections work well for cats of all sizes, as well as homes with multiple cats. Experts do recommend that each cat have their own litter box. But, according to the reviews, all of the litter boxes we recommended work well in multi-cat households. Q: Do these really keep cat litter off the floor? A: Generally, our recommendations keep scattered litter to a minimum. Because of their large size, high walls, and covers, these litter boxes make it much more difficult for your cat to kick litter all over the place. However, every cat is different. Some will find a way to make a mess, no matter what kind of box you have. So, some litter might find its way outside of the box, but it will be much less compared to a traditional litter box. Q: Can you use liners with these boxes? A: All of our recommended litter boxes are compatible with liners, but they aren’t a must. This is a personal preference, so you don’t have to use liners with these boxes. But, you can use liners with these boxes if that is what you prefer. Q: What kind of litter should I use with this box? A: Again, this is a matter of preference. There are many different kinds of litter, and they all will work just fine with each of our recommended litter boxes. There are so many different kinds of litter boxes out there that trying to find one that eliminates mess can be overwhelming. Then, when you add the fact that every cat has their own preferences, it almost seems impossible. However, after hours and hours of research, we determined that the best litter box for messy cats is the Catit Jumbo Hooded Cat Litter Pan. It will keep the litter from flying, and even high pee-ers will have a hard time spraying urine outside of it. It is also easy to clean and reduces odor. And, the large size gives your cat plenty of space to do their business. If you are having trouble with keeping litter inside your cat’s litter box, give one of our recommendations a try. 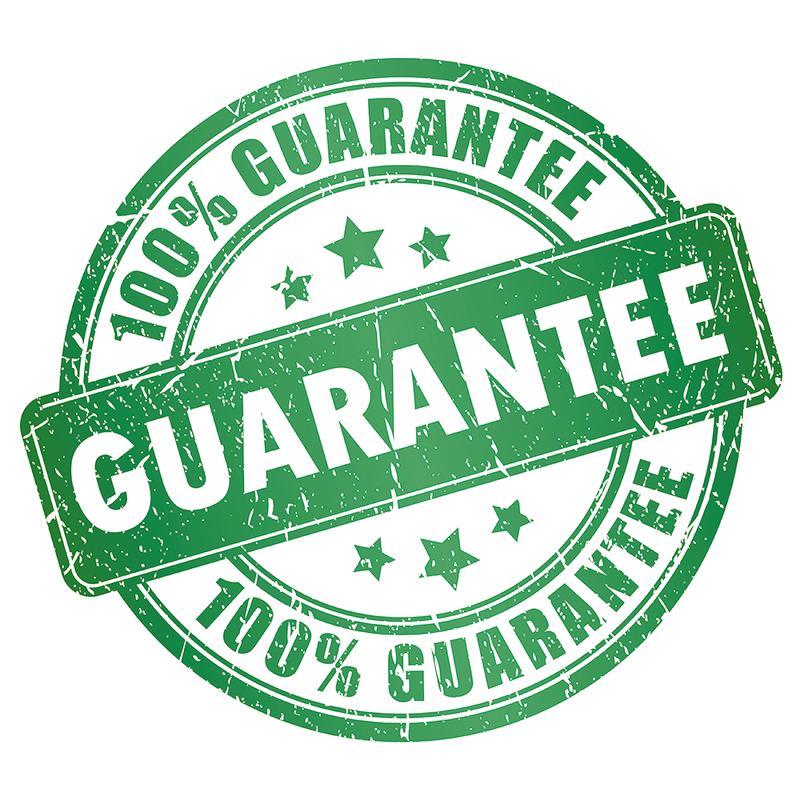 We promise that you will find the one that works perfectly for your cat.